In my ongoing series of literate config files, I present to you my Hammerspoon configuration file. I have enjoyed slowly converting my configuration files to literate programming style using org-mode in Emacs. It's now the turn of my Emacs configuration file. How to set up the bash !! and !$ shortcuts for accessing the previous command in Elvish. In this blog post I will walk you through my current Elvish configuration file, with running commentary about the different sections. In this second article of the "Just Enough Lua" series, we dive into Lua's types and data structures. 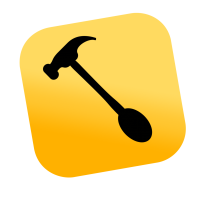 Hammerspoon's configuration files are written in Lua, so a basic knowledge of the language is very useful to be an effective user of Hammerspoon. In this two-part article I will show you the basics of Lua so you can read and write Hammerspoon configuration. Along the way you will discover that Lua is a surprisingly powerful language. Here is how to set up Nix in single-user mode on macOS. I'm always on the lookout for new toys, particularly if they make my work more productive or enjoyable. For a couple of months now I have been using a little-known Unix shell called Elvish as my default login shell on macOS, and I love it. Here’s how to fix the breakage caused by one of the recent updates to Microsoft Outlook in the Outlook-to-OmniFocus AppleScript included with my SendToOmniFocus spoon. In this second article about Hammerspoon, we look into _Spoons_, modules written in Lua which can be easily installed and loaded into Hammerspoon to provide ready-to-use functionality. Spoons provide a predefined API to configure and use them. They are also a good way to share your own work with other users. 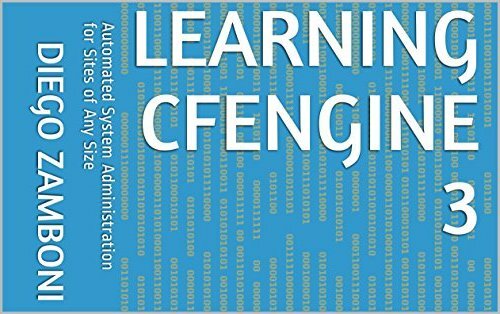 A new release of my book “Learning CFEngine 3” is now available! When I was planning the reboot of my website, I seriously considered using Ghost. It has a very nice UI, beautiful and usable theme out of the box, and a very active community. Eventually I decided to use Hugo, but in the process discovered that it is possible to host a statically-generated Ghost website using GitHub Pages. 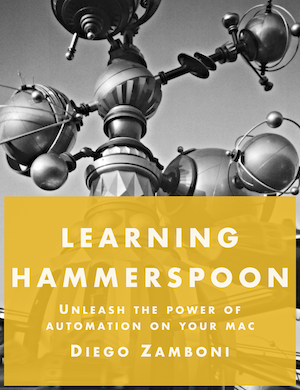 This is the first installment of a series of posts about Hammerspoon, a staggeringly powerful automation utility which gives you an amazing degree of control over your Mac, allowing you to automate and control almost anything. In the word of Hammerspoon's motto: _Making the runtime, funtime_. via https://medium.com/@mrdoro/fast-translation-with-google-translator-and-mac-osx-817e32233b7a https://medium.com/@mrdoro/fast-translation-with-google-translator-and-mac-osx-817e32233b7a Nice article about how to create a service to automatically translate selected text from any application. I use this all the time, I have a “German-to-English” service bound to Command-Alt-Ctrl-Shift-E, so I can just select text off the screen, press the shortcut, and a window with the translation will pop up. Very handy. via http://onethingwell.org/post/140035085825/enwrite I’m so proud (and of course posting this from Evernote using the web clipper) 😃 Enwrite ⇒ Evernote-powered statically-generated blogs and websites. Post from the Evernote application on any device, use the web clipper, or post by email. Enwrite will pick up the new content and post it automatically… As well as turning new notes into weblog posts, you can use Enwrite to convert the contents of existing Evernote notebooks into a static site, using search terms and tags to select notes for publication. via https://www.masteringemacs.org/article/spotlight-use-package-a-declarative-configuration-tool Have you ever heard of use-package? It’s a declarative way of expressing package configuration in Emacs but without the tears. This looks amazingly useful. I need to start migrating my Emacs config to use-package ASAP. via http://sixcolors.com/post/2015/10/apple-magic-trackpad-2-review/ This is probably old news for most, but it still blew my mind: only now I realized that the clicking feeling and sound on my MacBook Pro’s trackpad is artificially generated. I did the experiment of turning on “Silent clicking” and turning off “Force click and haptic feedback” on the trackpad preferences panel and, indeed, the clicking is gone. Wow (/ht @jsnell) To aid in the process, the Magic Trackpad apparently even generates its own artificial clicking noise (as the Force Touch trackpads in the MacBook and MacBook Pro do). via http://kottke.org/15/06/airplane-aerobatics-are-hilarious What a fun video. Encore! via http://www.freshblurbs.com/blog/2013/06/22/github-multiple-ssh-keys.html#tldr Since Github doesn't allow us to reuse an SSH Key, the only sane solution is to jump through some hoops and generate + use multiple keys on the server itself. Let's look at some effective approaches of doing that. Short version: define multiple hosts in the SSH config file for each repository, which use different SSH keys, then you can assign different deploy keys to each repo. I started getting errors from the TRAMP Emacs package because I was using fish as my default shell, and it does not recognize certain standard syntax elements (such as && to separate commands), and Emacs runs subcommands under the default shell. 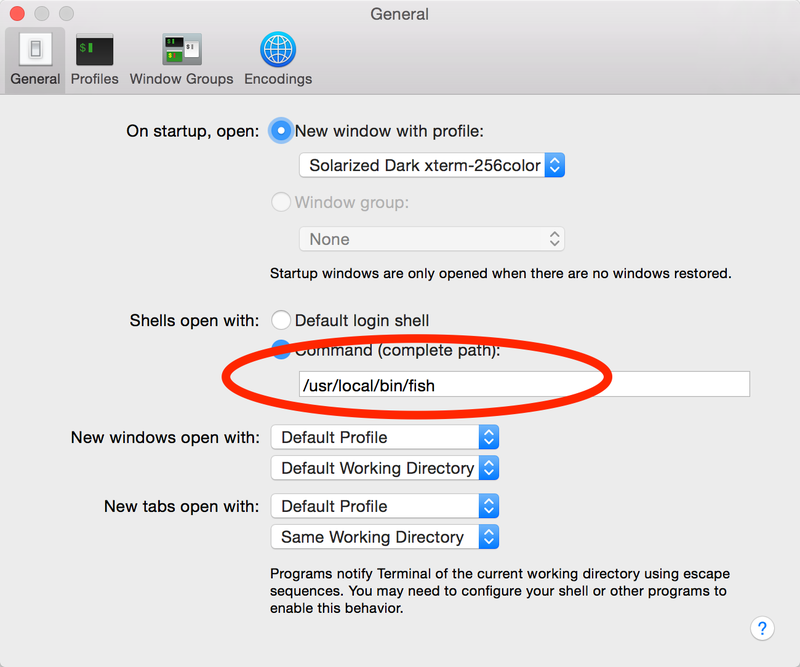 I fixed this by: Changing my account's default shell back to `/bin/bash` Changing my Terminal.app preferences to run `/usr/local/bin/fish` when a shell opens, instead of the default login shell: Log out and back in to have everything reloaded properly. via http://radar.oreilly.com/2015/04/the-log-the-lifeblood-of-your-data-pipeline.html Interesting article. I hadn’t heard of Fluentd, looks useful. The old paradigm — machines to humans, and the new — machines to machines. Image courtesy of Kiyoto Tamura. Over the last decade, the primary consumer of log data shifted from humans to machines. Software engineers still read logs, especially when their software behaves in an unexpected manner. However, in terms of “bytes processed,” humans account for a tiny fraction of the total consumption. via http://mattgemmell.com/whisky/ Nice essay.But then, finally, with one last branch hacked from your way, you set eyes upon it, and stand there. Silent and still. Perhaps you raise a hand, feeling time-worn stone beneath your fingertips. A dream, finally made solid. You’ve come so far, and now, at last, you’re here.